When I created my website a while ago, I decided to include a blog in it. The blog stayed inactive for a very long time. Fear had come over me: what to write, how to write and most important who is going to read it? A fellow translator was inviting colleagues to write posts for her blog. I thought: Ok, I can do some research on how to write blog-posts, I will write a draft and I will send it to her and get her opinion. And so I did! She read the post, she did a little proofreading and it went live. It was a great way to break the ice! A translation agency from across the Atlantic, asked me if I could be a regular blog-post writer for them! The ice was definitely broken! Writing as regular writer in a blog can be tricky! One tends to write about ideas one has and then there are no ideas left for her/his own blog. So, since I had the choice, I wrote about cultural related topics for the agency and kept the translation related ones for my blog. Then, I started writing posts and published them on my blog. Two strong words there! There are times that one blog-post turns out to be more successful than another one. What does success mean? What success means to me: Well, a successful blog-post is the one that attracts the highest number of readers as well as the highest number of comments left by its readers. Some posts do not get read as much as others, some posts get more comments than others. Some posts do get many readers and not many comments; some posts get fewer readers and more comments. As long as there is some kind of action from readers, I am happy with that! If there is no action, then I will not consider it to be a very successful post. 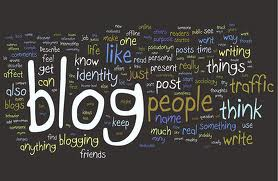 It is quite straight forward how to see the number of comments each blog-post gets, as you will probable receive an email every time you get one on your blog-post. In order to measure the number of readers, you will need to set up an account on Google Analytics, connect it to your website and through it you can see the number of readers per page. I also make an annotation on the date of publication of each blog-post. It makes it easier for me, but this is up to you. There are a lot of factors that can influence a blog-post. Maybe you do not have many followers (if you are posting its link on Twitter) or you do not have many fans on your Facebook fan page. Maybe the time you shared the link was not appropriate and you did not reach your audience. Maybe the topic it is on about does not attract the readers’ interest. It is common knowledge that in order for a blog to be a hit, new posts need to be added frequently. In a life of a translator, writing a post every week can be a rather interesting and challenging task. You see, sometimes there is nothing new to write about because you have been working on tight deadlines and even if you do have something to write about, you would rather sleep an hour more than write a post. Although she does not use it as method of filling in gaps, my good friend Catherine Christaki (@linguagreca) has come up with an idea on how to add other interesting things besides posts. She collects the online articles and blog-posts she has found to be of interest to her for one whole week and then she posts this collection on her blog as a list of great reads! It is a fantastic idea! Another way to fill in the gap when in panic mode is to ask fellow translators to write a guest post for you. Of course, you will have to read the posts and choose the ones that you think will be interesting to your readers or are in match with the tone and topics your blog has. This actually works both ways; it is an active advertisement for the guest blogger on a well-established blog-post! Other translators-bloggers expand the fields they write about (eg. Cultural topics, travelling etc) and so there is always something to write. To be honest, I do not always have the time to write a post or have ideas about what to write and I do not have a technique invented when my blog is “idle”. I try to write a post per week but sometimes I do not write anything for a month! Do you have a specific procedure set up for writing your post-blogs or do you have any ideas on the above mentioned points that could be valuable to a translator-blogger? Please, do share your thoughts and expertise! Congratulations on your adventures in blogging. Just participating is a measure of success I think. We’re accepting guest blogs from translators on the Affinity Translation blog. If you have any interest in that please feel free to contact us. Otherwise continued success to you! Thank you for your interest in my blog and thank you for offering! If I have any interest subjects to write about, I will drop you a line!